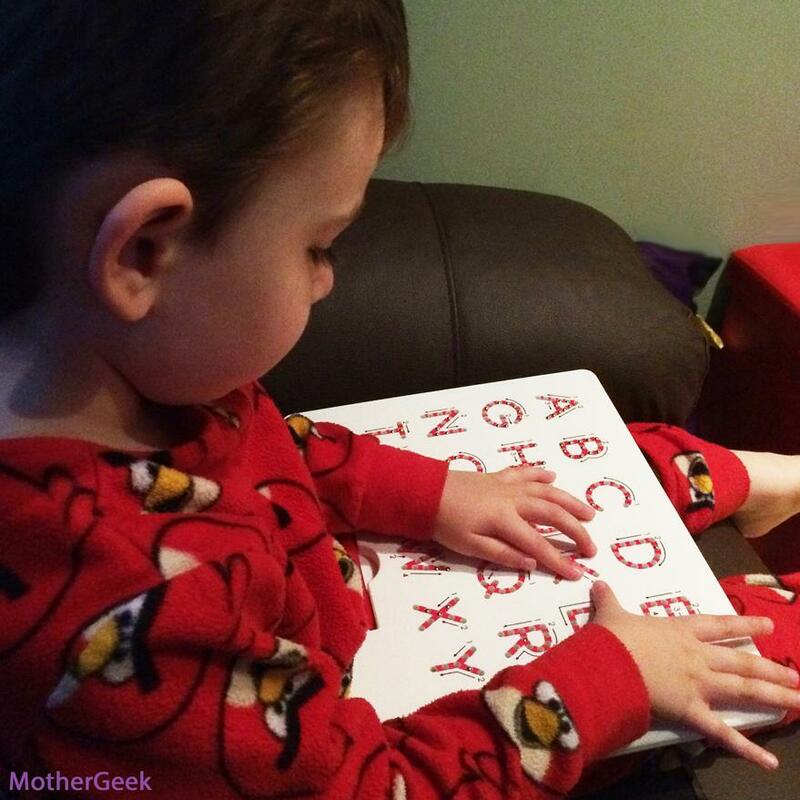 We were recently sent a Kid O A – Z Upper Case MagnaTab to review. These have an RRP of £29.95 and are available online. My 4 year old son, Sam has Autism and Sensory Processing Disorder. 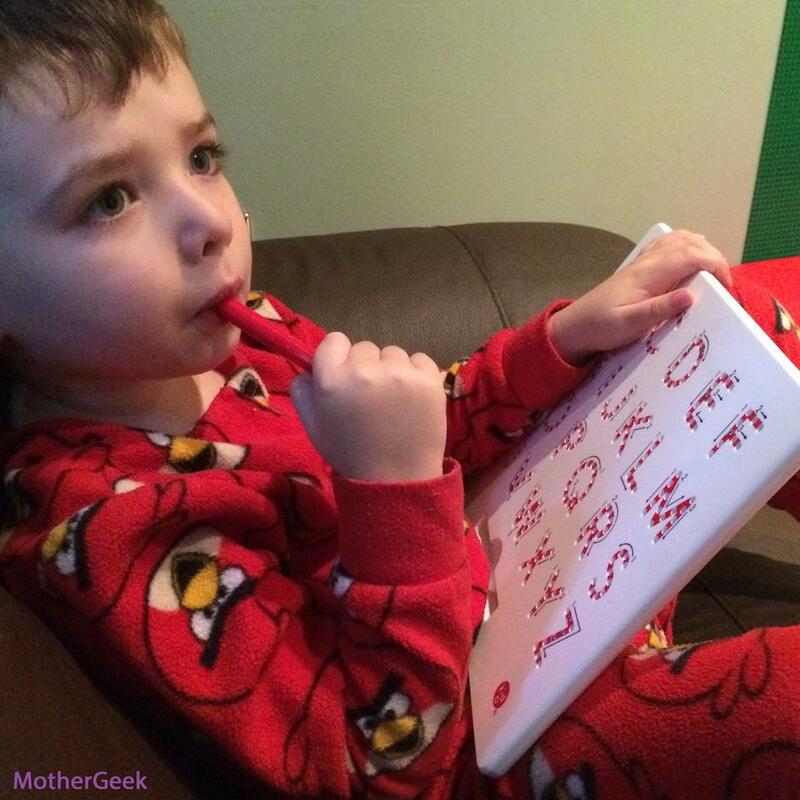 He is currently non verbal, but is able to identify letters and numbers by pointing to them. He is fascinated by magnets, so I thought he’d love this item – I wasn’t wrong! Each letter on the Magnatab board has small holes in it, and stuck down each individual hole is a tiny metal ball. When you hold the included magnetic pen over the hole, the ball rises up and catches in the rim of the hole. You can feel the pull of the magnetic attraction, and hear the metal ball hit the plastic rim. Once the ball is up, you can push it back down, either with your finger or the end of the pen. You can hear and feel the ball as it falls. It’s quite difficult to explain, so I made this very quick video to show you how it works. Sam loves this toy! He has spent hours tracing the letters with the pen, then pushing the balls back down with his finger. He looks at his A-Z jigsaws and iPad apps, and then finds the corresponding letter on the Magna Tab. He does get a little confused by some of the upper case letters, and I think he’d have found a lower case one less confusing at this stage. The magnetic pen isn’t attached to the board, so you do need to keep it safe. The handy storage space on the board is great for this – unless your child throws it down the back of the radiator like Sam did…!! (It took me 3 days to rescue it from there, and I had to remove the radiator from the wall in the end)! As a special needs parent, this item definitely helped Sam to engage more than it did our “normal” 3 year old. Syd got a little frustrated that the pen got pulled towards the ball, rather than carrying straight on, like a normal pen would. I feel that for her, a normal pen and joining the dots would probably have been more than sufficient. All told, I think the Magna Tab is brilliant for helping children learn how to hold a pen, and how to trace the shape of letters. Some of the balls do stick on occasion, and Sam did find this frustrating. This was easily fixed with a wipe down though. 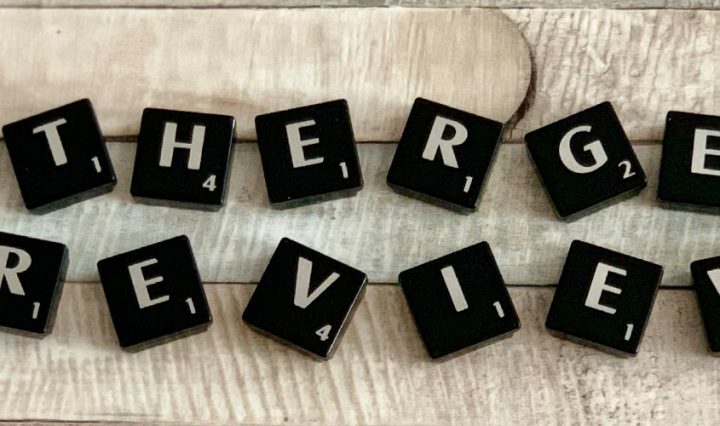 I think that at £30, these tabs are not cheap, but they are very durable, and feel like they will last forever – a great item for any nursery or child minder to have, or a very keen parent! I have only given it 4/5 as I feel it is a little on the expensive side. I feel that around £20 would be a fairer price. 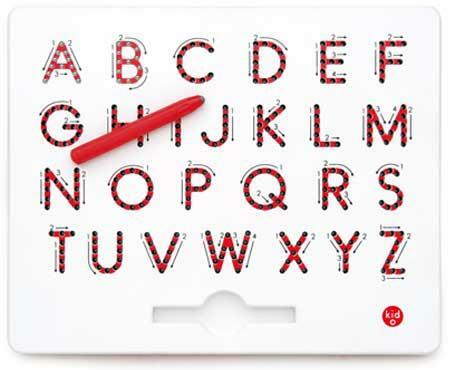 I’d happily buy Sam the lower case and the number versions for £20 each. This is not a sponsored post. We were sent the board to review, but all opinions are my own.